Liverpool returned to the top of the Premier League after an Anfield classic against Arsenal - but Andrey Arshavin's remarkable four-goal haul delivered a serious blow to their title ambitions. 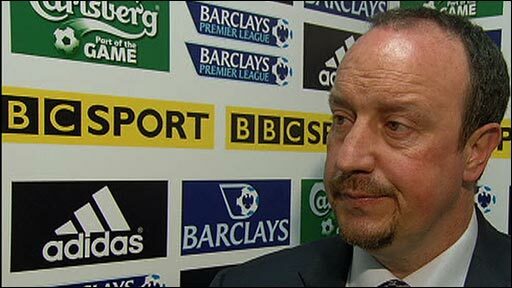 Rafael Benitez will no doubt praise Liverpool's spirit and ambition, as he did after a similar result in the Champions League at Stamford Bridge last week, but defensive weaknesses fatally undermined a vibrant attacking display. Liverpool's point puts them ahead of Manchester United on goal difference but Sir Alex Ferguson's reigning champions now have a potentially crucial two games in hand. Arsenal's much-maligned keeper Lukasz Fabianski was Liverpool's tormentor in the first half, but he showed signs of strain after the break as the home side threw caution to the wind backed by a wall of sound from The Kop. Arshavin provided a lethal spearhead for Arsene Wenger's side, who were under siege for long periods but demonstrated a stunning ability to strike on the counter. The Russian put Arsenal ahead from Cesc Fabregas' cross nine minutes before the interval, but Fernando Torres and Yossi Benayoun, with a brave far post header, struck early in the second half to give Liverpool the advantage. But as Liverpool tried to capitalise on their supremacy, the lavishly-gifted Arshavin struck twice in the space of three minutes midway through the second half. He took advantage of Alvaro Arbeloa's hesitation to flash a finish past Liverpool keeper Pepe Reina and then scored from close range after Fabio Aurelio's poor clearance. In a tumultuous Anfield atmosphere, Torres scored on the turn to put Liverpool level again before Arsenal swept forward after defending a corner for Arshavin to drive an emphatic finish past Reina from substitute Theo Walcott's pass in the dying seconds. Benayoun scrambled home during five minutes of frantic stoppage time to give Liverpool hope of a remarkable win, but Arsenal's only remaining alarm was a shout for handball against Abou Diaby that was ignored by referee Howard Webb. The players left Anfield to a standing ovation - but Liverpool's over-riding emotion will be frustration at failing to turn up the pressure another notch on United. This may not have been a game for the coaches or tacticians, but for any lover of football this was a magnificent spectacle, liberally strewn with errors but also with outstanding talent. It was also a game watched by joint Reds owners Tom Hicks and George Gillett, who were tellingly sat next to each other. Arsenal may be under-strength and out of the title race, but on this evidence they still have the capacity to emerge as a real wild card as the season reaches its climax, with games against Manchester United and Chelsea still to come. Arsenal keeper Fabianski had been heavily-criticised for his display in the FA Cup semi-final defeat against Chelsea at Wembley - but he produced an inspired first 45 minutes to keep Liverpool at bay. Torres was an early victim of his heroics as the keeper first blocked a powerful drive and then saved superbly from a rising angled drive as Liverpool pressed for an early advantage. Arsenal, despite spending most of the early exchanges on the back foot, still posed a threat and a mix-up between Daniel Agger and Reina presented Fabregas with a chance, but he volleyed wide. Torres was setting the tone for Liverpool's display in the absence of captain Steven Gerrard, and Fabianski was called into action again on the half-hour after the Spanish striker's turn left Kolo Toure trailing in his wake. And Fabianski's defiance took on greater significance when Arsenal took the lead nine minutes before the interval, courtesy of Arshavin. Javier Mascherano was caught in possession, allowing Samir Nasri to feed Fabregas - who provided the perfect cross for Arshavin to slam in a powerful finish off the underside of the bar. Liverpool mounted an instant response, but Fabianski was the barrier once more as he dived to his left to palm away Benayoun's shot from the edge of the area. It was vital Liverpool struck early after the break - and inevitably it was Torres who provided the priceless equaliser after 49 minutes. Dirk Kuyt was the creator, crossing at the second attempt for Torres to climb and power a downward header that even Fabianski was powerless to stop. Liverpool were overpowering Arsenal and seven minutes later Benitez's side were ahead thanks to a brave header from Benayoun - a move started when Fabianski played Kieran Gibbs into trouble in the penalty area. Kuyt gathered possession and found Benayoun at the far post, who threw himself forward ahead of Bacary Sagna to send a looping finish beyond Fabianski. Arsenal were being penned in their own territory almost permanently, and Wenger decided they needed to release the pressure, sending on Walcott to replace Denilson after 65 minutes. And two minutes later Arsenal were level as Arshavin robbed Arbeloa to send a stunning drive across Reina from 20 yards. Liverpool were let down by defensive frailties again as Arsenal regained control of what was becoming a classic encounter with 20 minutes left. Nasri's cross was routine, only for Aurelio to slice his clearance straight to Arshavin, who gratefully slammed a finish beneath the exposed Reina. Arsenal's lead lasted only two minutes, and once more Torres came to Liverpool's rescue with a turn and finish that Fabianski again touched but could not keep out. Torres almost claimed a treble of his own with eight minutes left, but Gibbs was ideally placed on the post to scramble his header off the line. And then, as Liverpool pressed forward with understandable urgency, they were hit by the sort of sucker punch Arsenal always looked capable of producing as Arshavin grabbed his fourth. 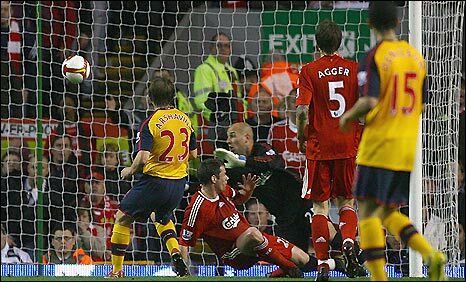 Liverpool were caught from their own corner, as Walcott swept forward to set up Arshavin to hammer his fourth past Reina. It looked all over for Liverpool, but Benayoun set up the prospect of another final twist in this remarkable tale by scrambling home in a crowded penalty area. Liverpool: Reina, Arbeloa, Carragher, Agger, Aurelio, Alonso, Mascherano, Benayoun, Kuyt (El Zhar 86), Riera (Babel 74), Torres. Subs Not Used: Cavalieri, Dossena, Lucas, Ngog, Skrtel. Goals: Torres 49, Benayoun 56, Torres 72, Benayoun 90. Arsenal: Fabianski, Sagna, Toure, Silvestre, Gibbs, Arshavin, Song, Fabregas, Denilson (Walcott 65), Nasri, Bendtner (Diaby 90). 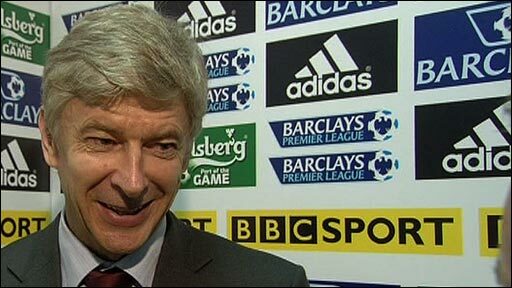 Subs Not Used: Mannone, Eduardo, Vela, Ramsey, Eboue. Goals: Arshavin 36, 67, 70, 90.